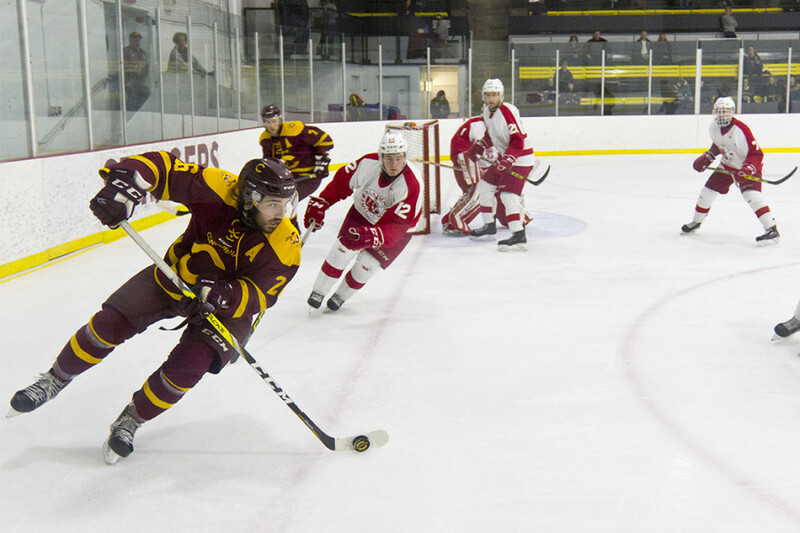 The Stingers seem to be out-producing the rest of Ontario University Athletics when it comes to recruitment so far this offseason. Adding names like Bradley Lalonde, Hugo Roy, and Phelix Martineau, among others, the team has been building their roster up in a major way this offseason. The latest player to join this group is forward Chase Harwell. Harwell joins the team after five seasons in the Quebec Major Junior Hockey League where he played for the Sherbrooke Phoenix and the Victoriaville Tigres. Harwell’s Tigres were recently eliminated from the QMJHL playoffs in a post season that saw Harwell put up eight points in the team’s 12 games. Though Harwell’s 44 points in 67 games last season may not jump off the page, the American forward is known for being a gritty player with a physical play style and the ability to chip in offensively. He’s been commended for his leadership throughout his years in the QMJHL, including by former Sherbrooke teammate and future Stingers teammate, Carl Neill. Harwell wore an “A” as an alternate captain in his final two seasons with the Phoenix and his only full season with the Tigres. Along with other new recruits, he will report to Stingers training camp in August.